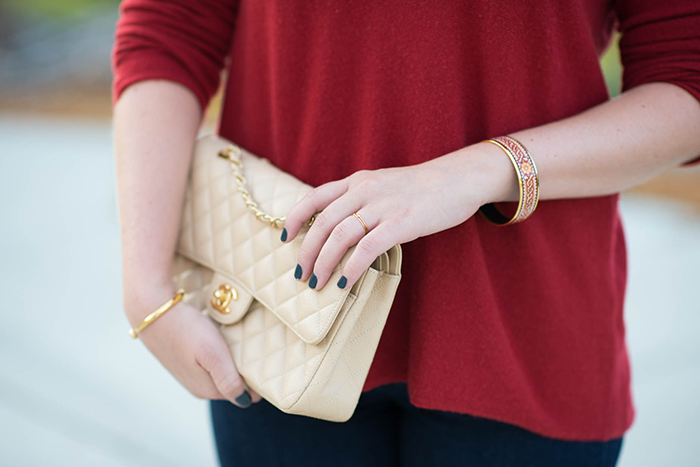 One color that’s really picking up momentum in my closet is red. 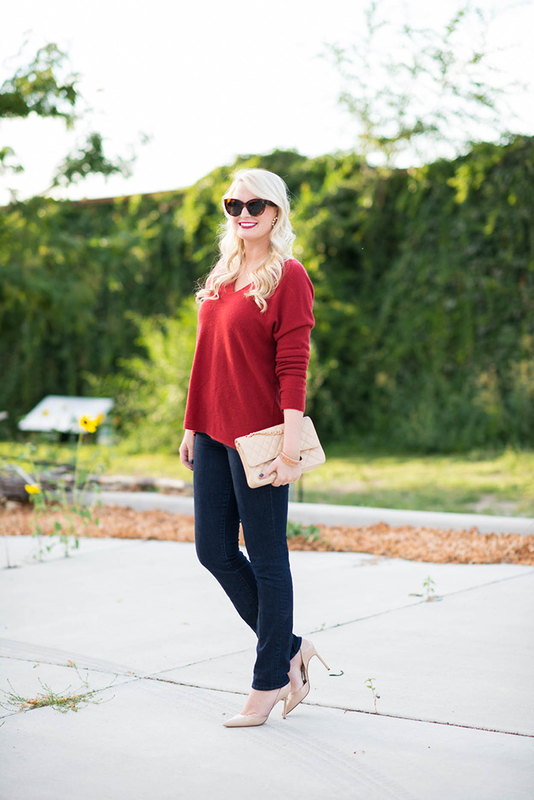 You can now find raspberries, merlots, crimsons and more in my wardrobe for fall! A couple of newer acquisitions include these Aquazzura booties and this leather hat. They’ll provide the perfect pop of color against my more monochromatic looks this fall. 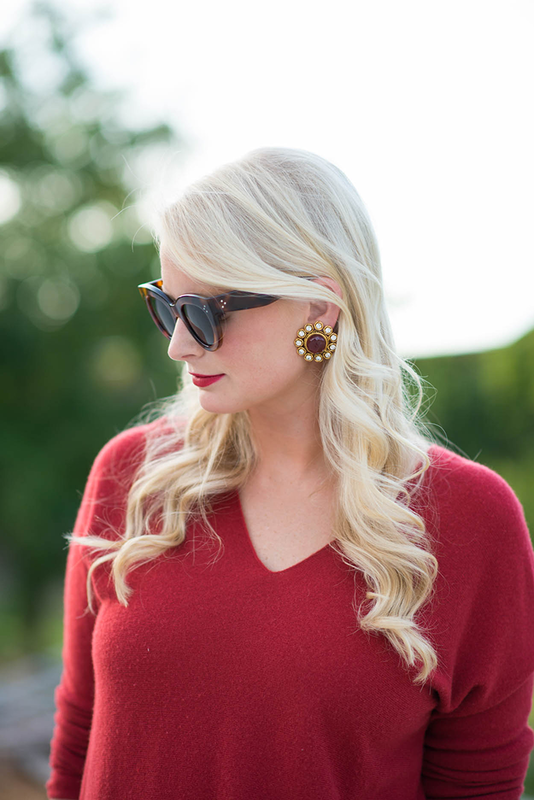 In addition to those accessories, I recently snagged a few bordeaux-accented pieces of jewelry at The RealReal – have you heard of it? It’s basically an online luxury resale store (aka consignment heaven), that sells everything from vintage Chanel earrings and Louboutin heels to Hermès bags and Prada dresses. I picked up the pair of statement Chanel earrings and a sleek Hermès bracelet you see above – aren’t they so fun? The RealReal is definitely a new designer destination for me, especially for jewelry. A few other pieces that are available for purchase right now include this Hermès cuff, these Chanel crystal CC earrings and these pavé disc earrings. Head over to The RealReal to check out all of the other fabulous pieces they have available! Great look- effortless and chic! Love your Hermés cuff and the bag! You’re beautiful in red. 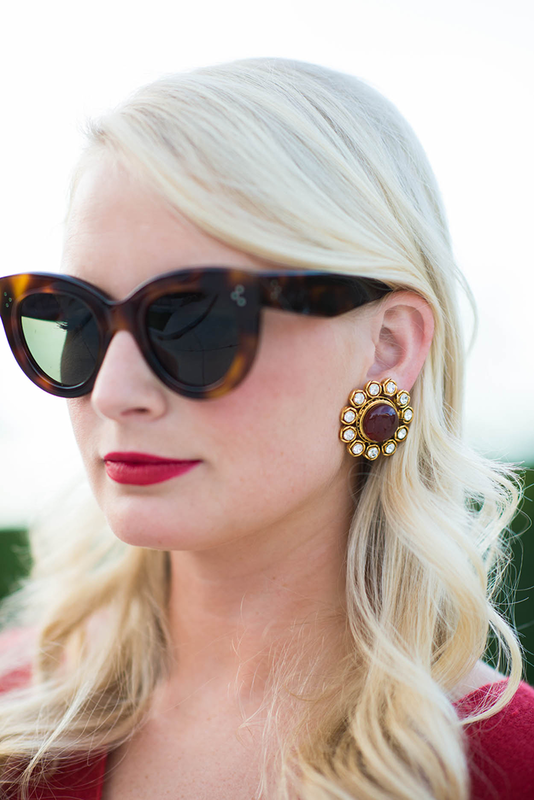 And these sunglasses are so glam! Love this color on you, you look fabulous. Love the red! What lipstick are you wearing? I’m always looking for colorful lip colors that compliment my blonde complexion. I always say this, but red is your color! You look amazing and those earrings are gorgeous! That lipstick shade is fabulous! You look gorgeous in red…I can see why you’re loving it. Those sunnies are perfect. love them. Red is YOUR color! You look complete stunning! Red is definitely your color! Have a great weekend, Merritt! Girl red is YOUR COLOR. Owning it. Love those earrings. Always love the combination of red and blue! You look super chic in this outfit <3 Love it! Red is a gorgeous color on you! 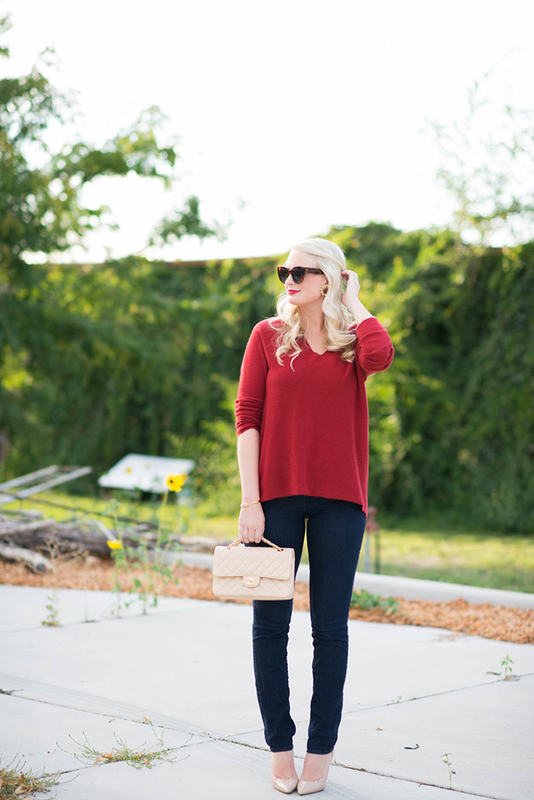 I love all shades of red for fall. Love the earrings. Going to check out TheRealReal right now! Theres something very Grace-Kelly about this. 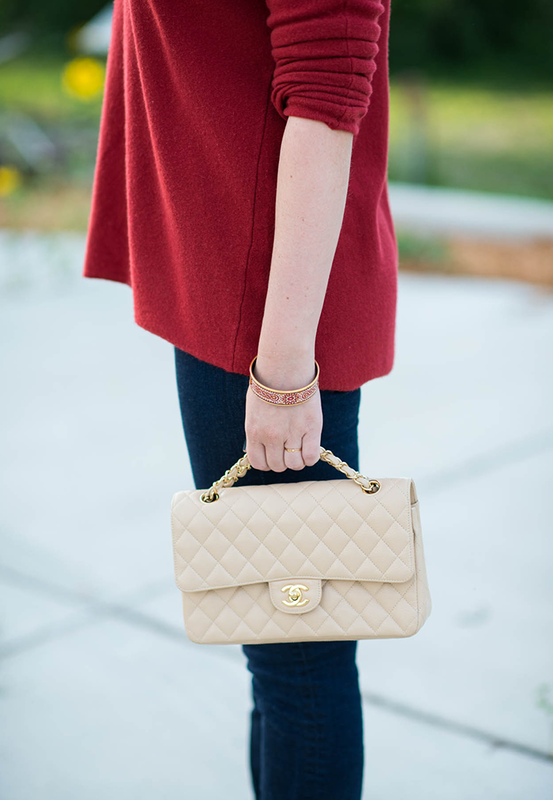 Love the beautiful red sweater and the chanel is divine. This color of red is gorgeous on you! You look so chic. I always think you look so great in red tones!